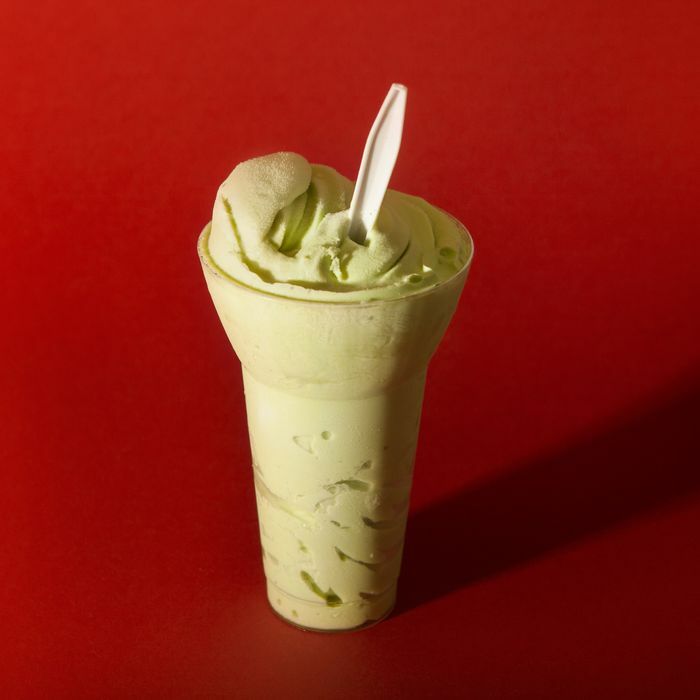 Is Lucky Pickle Dumpling Co.’s Pickle Soft Serve Any Good? Late last month, the folks behind cult Upper West Side eateries Jacob’s Pickles and Maison Pickle opened their newest dining destination: Lucky Pickle Dumpling Co. As the name implies, Lucky Pickle specializes in dumplings, including chicken, spicy pork, shrimp, and vegan versions. But what caught Grub’s attention was a $5 soft serve on the restaurant’s menu. The flavor: pickle. Let that sink in: pickle soft serve. Surely it must be terrible, right? But why would it even be on the menu if that were the case? There was only one way to find out, of course, so we got a bunch and gave it a try. Here’s what you need to know. Our group of taste testers identified as both pickle lovers and pickle haters, and both sides came out of the taste test surprised because the soft serve doesn’t really taste like pickles. “It tastes more cucumber-y than pickle-y,” said one tester. One pickle lover, whose dog is named Pickles, noted that they could have even cranked up the brininess a bit more. “They played it too safe,” she said. It’s light and refreshing by design. We plan on eating lots more throughout the summer.